Molly is Of Counsel with PIB Law. 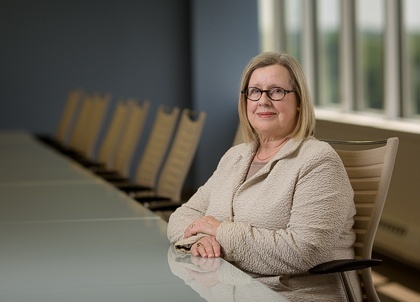 She focuses her practice on the representation of financial institutions and has over 35 years of experience with financial services-related litigation and regulatory and transactional matters. In 2009, Molly was named one of the 25 Women to Watch in Banking by U.S. Banker Magazine. As a mortgage industry expert, she is widely recognized as a leader in shaping the mortgage industry. She consulted frequently with both the Bush and Obama administrations and testified before Congress about housing and community opportunities during the financial crisis. Prior to joining the Firm, Molly served most recently as Housing Policy Executive at JPMorgan Chase where she led the bank in its efforts to curb the rising number of foreclosures that occurred as hybrid adjustable mortgages were due to reset at higher rates. Previously, Molly was the General Counsel of JPMorgan’s Home Lending Division, where she was the lead attorney responsible for all legal and compliance functions, including bank regulatory compliance, corporate mergers and acquisitions, and insurance regulatory matters.